At this point, I think I’ve seen Death Cab For Cutie more than I’ve seen any other band. That’s for a variety of reasons (I like them, my husband used to work with them, they play in Chicago a lot, and so on), but it’s not a stat I regret in any way. Death Cab is an incredibly solid live band, and never fails to deliver live. Like most Death Cab fans, I’ve got my favorite jams. I could easily put together a Power Hour packed with 60 solid minutes of “Cath,” “I Will Follow You Into The Dark,” “We Laugh Indoors,” “Marching Bands Of Manhattan,” and more, but I’d probably kick the whole thing off with “The New Year.” One of the best tracks off the group’s best album, 2003’s Transatlanticism, “The New Year” is about the futility of not only our dumbest holiday, but also about how easy it is to feel young and unaccomplished. 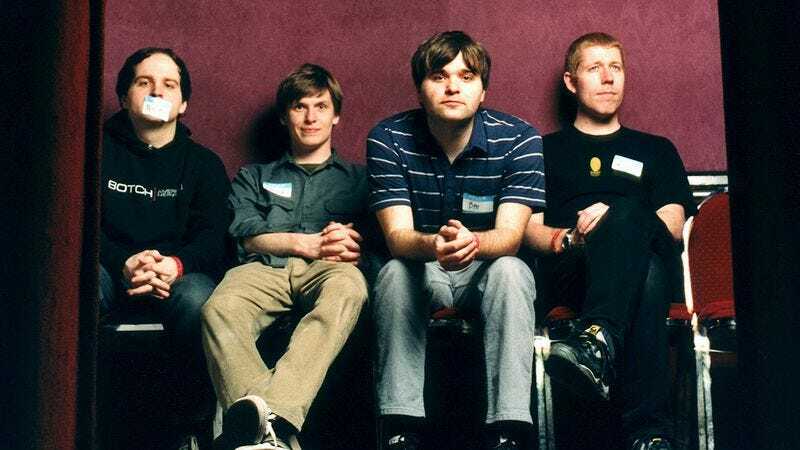 Like so many Death Cab songs, it’s both wistful and anthemic, and lines like “So everybody put your best suit or dress on / Let’s believe that we are wealthy for just this once” feel both easy and a bit challenging. “The New Year” asks listeners to second-guess who they think they are, all the while reminding them that, no matter how confused or awful they feel, they’re not alone.